March 25, 2013 janellecoleLeave a Comment on Surprise!! 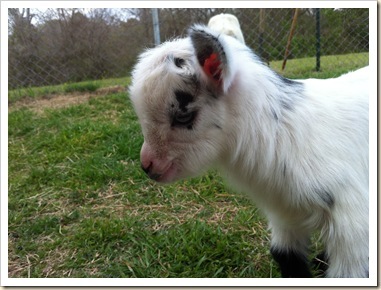 We were so excited on St. Patrick’s day – not our favorite holiday as a family, but when you wake up and find a baby goat in the goat pen – it is reason to celebrate!! 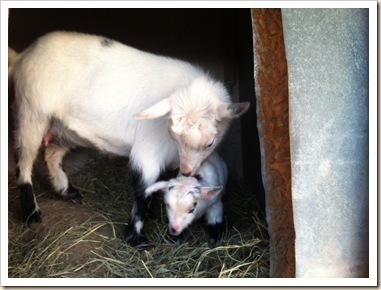 We had no idea that Petunia, one of our Nigerian Dairy Goats, was pregnant. 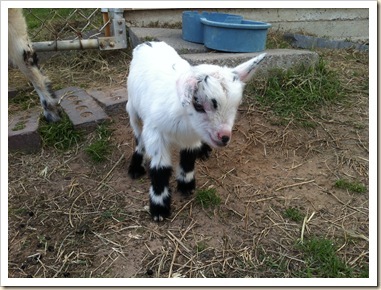 So, imagine our surprise, at 6:30am when we find a baby in the goat pen!! We were thrilled and panicked! 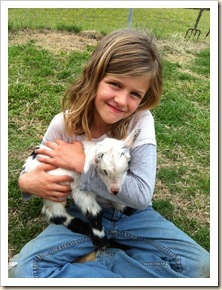 I had not planned for this, we were 9 months from having a baby goat here! After I got a bit hysterical, searched for our books to no avail, – I called a friend and asked what to do. She calmed me down and assured me it was all going to be just fine. 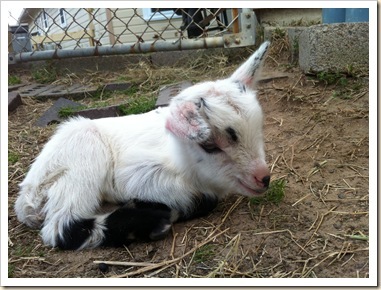 Patches is doing great, growing super fast, and playing with his mom and aunt in the backyard daily!! He is a great nurser, and I cannot wait to start sharing milk with him! We have all fallen helplessly in love with this little guy!! How adorable is he!?!? His momma is pretty crazy about him too and she is a fantastic momma to him!! Just a great reminder that God is in control – I was impatiently waiting to breed my girls, and little did I know at least one was already bred! I am sure God was laughing at my impatience! So thankful for all the good gifts that God blesses our family with! !